Vice President Bawumia addressed the nation at the Economic Management Team town hall meeting at the College of Physicians and Surgeons on Thursday. Reflecting on the steady rise of Ghana’s growing economy, Vice President Bawumia has made a concerted effort to distribute the country’s kitty wisely. Speaking at the Economic Management Team town hall meeting at the College of Physicians and Surgeons on Thursday, he admitted that before President Nana Akufo-Addo took office, the fundamentals of the economy were weak. But now that Ghana is doing better economically, the government must now find ways to assist the underserved, he advised. The approach will be multi-pronged. First, the overarching objective will be to build a prosperous private sector driven by Ghana Beyond Aid, a long-term agenda that will look to use resources only from the country itself. “We want to build an economy that is not dependent on charity and handouts, but an economy that will look at the proper management of its resources as the way to engineer social and economic growth in our country,” Akufo-Addo said at the time he introduced the idea. He added that the pursuit of a stable macro economy and pursuing inclusive transformation would ensure social equity. 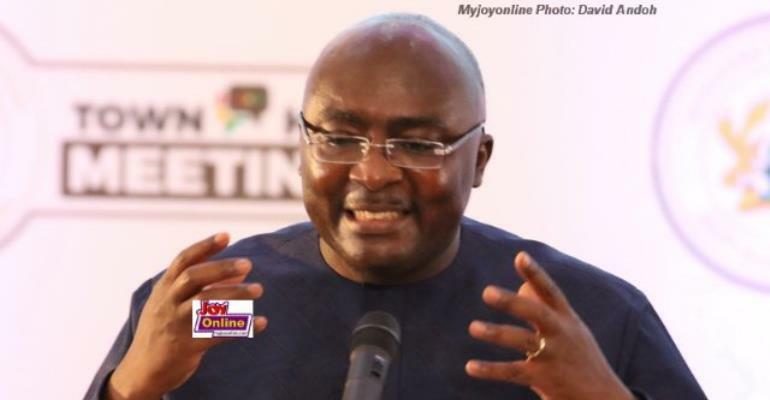 Leveraging technology for digitisation and enhancing the ease of doing business would also make a contribution for the underprivileged as well, Bawumia said. But making goals for the future will be counterintuitive if we don’t observe what has happened in the past. In 2017, Ghana’s economy grew by 8.1%, “one of the highest in the world,” he said. He applauded his economic team for exceeding the sub-Saharan rate. He boasted that the country’s GDP rate was robust and mentioned that non-oil growth has increased from 4.6% - 5.8%, increasing the per capita income to GH¢9864 – 30% higher than in 2016. “Our challenge is to make the distribution fair,” he said. “This is the ultimate goal. He ended on the topic by suggesting that an enriched industrial sector performance will add to the growing confidence of the economy and serve the public for its own good.